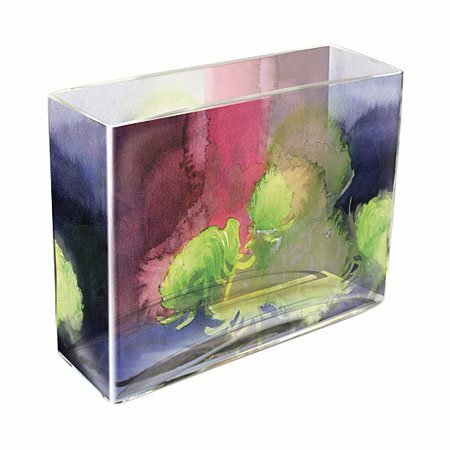 Green Mums Rectangular Vase is a beautiful art glass vase from Fringe Studio. Green mums are highlighted against a background wash of deep blue and red. The image is heat fired into the glass on both long sides and wraps around the ends. Measures 6" tall, 8" wide and 2.5" deep. Packaged in a print gift box.